I'll slip a few in and see. Never hurts to try. I can play stupid with the best of them. Thought I should start a list of items I need to bring from Canada, not many things we have you don't. If you would like me to try and bring something let me know. @pretty Omi - Dairy Milk - Coconut & cashew chocolate bar - Is this right? Bought everything but the chips tonight. The only Disney kinder surprise were Dora the explorer. These aren’t kinder surprise but similar. Do you get these in the US? All types of themes. They had all kinds - zootopia, princesses, Star Wars etc. Didn't buy any, not sure if you have them in the states. No... we do not have. Those look fun! I can pick up some of these if anyone is interested. I'll get a list ready of the styles they have. So far I know they have. 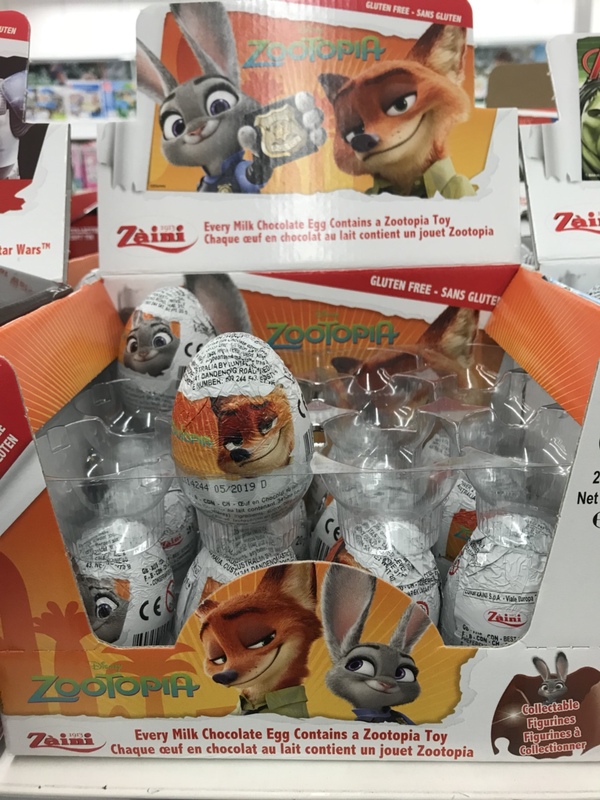 I’d like a zootopia one plz! I'd like a Star Wars one if it's branded as The Last Jedi (if it's anything else, then you can just disregard this message). Thanks so much! I will be there! Pinpics name is also LadyBarclay. Also wanted to point out that on the Confirmed Attendance list in this thread, themickeymouserules' daughter's pinpics name is misspelled. Unfortunately not labelled the last Jedi. Romancing_Train and watzshakinbacon like this. 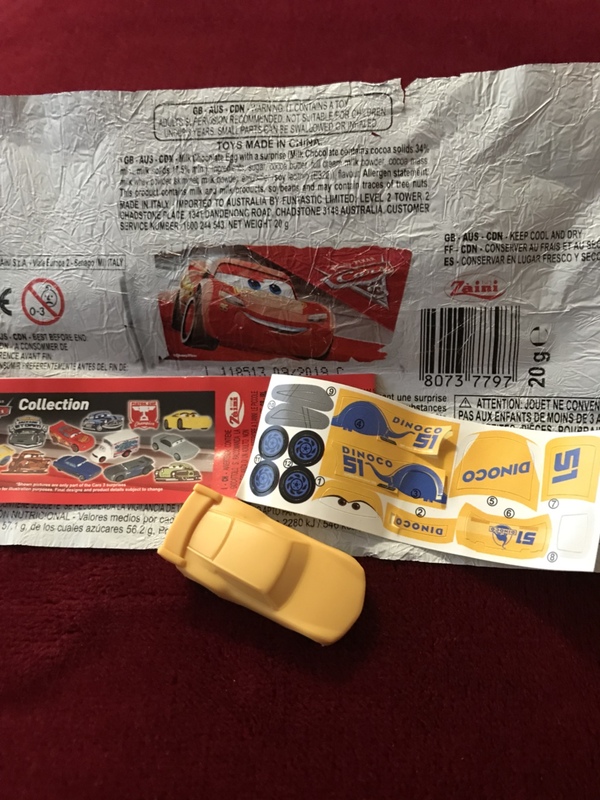 We got my husband a Cars one. In case anyone has any PODMs, I am interested in Mulan, BatB, Tangled, Monster's Inc.
Are you selling them by the scoop, like the colored rocks in souvenir shops? I'll take a scoop of pins for $5.99, please! Zootopia for me, please! Unless these are also banned like kinder eggs, don't want you to get in trouble! I don't suppose you're also looking for Grumpy and a very derpy Woody? Connies_hobby is crginoc2001 on pinpics if you could change that one too. Thanks! I would be 8f starry isnt!